The Wildlife Sanctuary's motto is "Receive, Rehab, Release." We are doing wonderful work, releasing large numbers of rehabilitated wildlife or giving them a peaceful sanctuary. But our operating expenses are huge, and they are rising. We depend on the generosity of the public. Our volunteers are dedicated and hard-working people who give up much of their time to lend a helping hand. Please help us continue our important work. Please Donate. Here is a list of the supplies we use on a daily basis. You can drop off any of these items at our facility 7 days a week between 8:00 AM and 5:00 PM. Your donations will be greatly appreciated. Walmart, Lowes, Sams, Home Depot, and Walgreens gift cards are always appreciated so that we can buy the supplies we need, when we need them! Thank you for your interest in the Wildlife Sanctuary's Volunteer Program. We look forward to meeting you. If you have any questions please contact me, Darleen Willis, at wildlifevolunteer@att.net. As the Volunteer Coordinator, I will be happy to answer any questions you may have. You may download a copy of the volunteer application or pick one up at the front desk 7 days a week between the hours of 8 am and 5 pm. Spring and summer are the busiest seasons for the Wildlife Sanctuary. During these months we often receive 30-40 animals per day (3000+ each year). The primary role of a wildlife rehabilitation intern is to assist caring for these animals, many of whom are orphans. The internship is INTENSE, PHYSICALLY DEMANDING, FAST PACED AND REPETATIVE, giving interns the opportunity to learn about many aspects of wildlife rehabilitation. Interns gain valuable practical experience while working with the Wildlife Sanctuary staff and volunteers. Some of the skills learned include individual species identification, animal handling, hand and tube-feeding birds and mammals, medication administration, charting procedures, species specific dietary requirements and care, animal intake and public education. 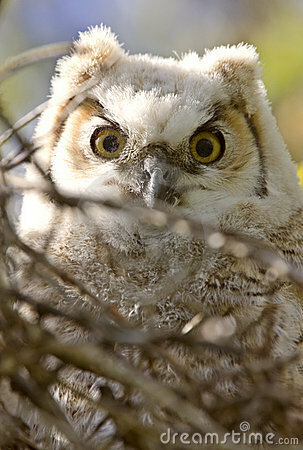 Please contact the Wildlife Sanctuary staff at ws@wildlife.gccoxmail.com for more information on scheduling a visit. The Wildlife Sanctuary provides a home for over 100 animals that cannot be released, including deer, fox, and a variety of birds, including bald eagles, owls and hawks. Come by to see us during our visiting hours. We only ask for a small donation to help pay for our increasing expenses. Legal notice: Registration number CH-1402, issued by Florida Dept. of Agriculture and Consumer Services. Listed as a charity with CFC for Escambia and Santa Rosa County # 54113. We are 501c(3) organization. The Wildlife Sanctuary does not use professional fund raising solicitors or consultants. All of your donation is used for sanctuary operation, for the benefit of injured or orphaned wildlife.